Various Projections is a video installation that came into being in Arizona, USA. 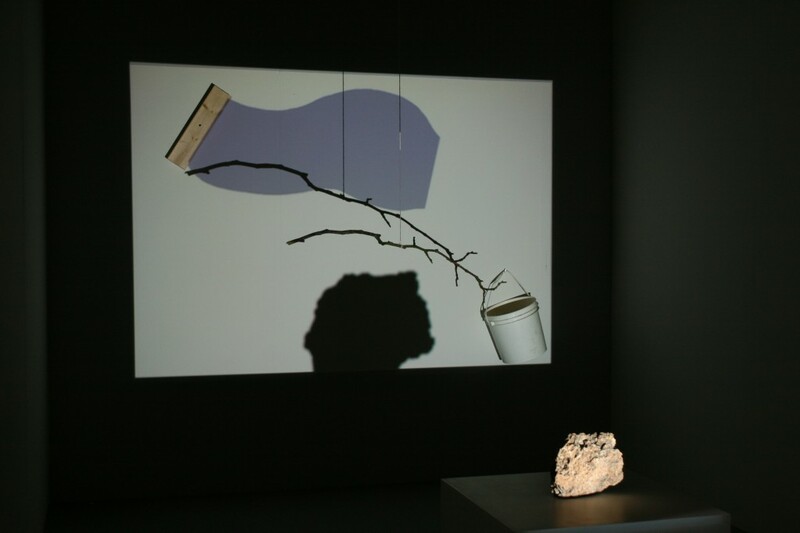 In the work, a video is projected onto several items: a stone that has been placed on a small pedestal, a branch and bucket hanging from the ceiling and a wooden stick attached to the wall. While the video interacts with the objects, a soundtrack plays — powerfully triggering our imagination as we watch the piece evolve. The objects were all found in the desert around Scottsdale, Arizona, apart from the wooden stick, which was from the storage of the Scottsdale Museum for Contemporary Art. SMoCA commissioned this piece, and Sæbjörnsson decided to work with his preconceived ideas about Arizona and with qualities that are common to all places. In Sienna, the studio of Tadeusz Kantor, Various Projections will get a new life, in which the work is confronted with the other objects in the studio, thus triggering new ideas concerning the notion of the unique. Egill Sæbjörnsson (b. 1973) lives in Reykjavik and Berlin. He graduated from the Icelandic College of Arts and Crafts (now the Icelandic Academy of the Arts) in 1997 and studied at the University of Paris, Saint Denis, from 1995 to 1996.s work is an approach to experience, a mode of behaviour, a play. He creates arrangements that cannot be described as mere ‘installations’. They are at the same time stage sets, sculptural accumulations and three-dimensional drawings. Music plays a vital part in his art projects, and he is a musician as much as a visual artist. With an artistic background in drawing and painting, Sæbjörnsson has always been fascinated by video and animation, and his current work can be seen as a (techno)logical continuation of painting. 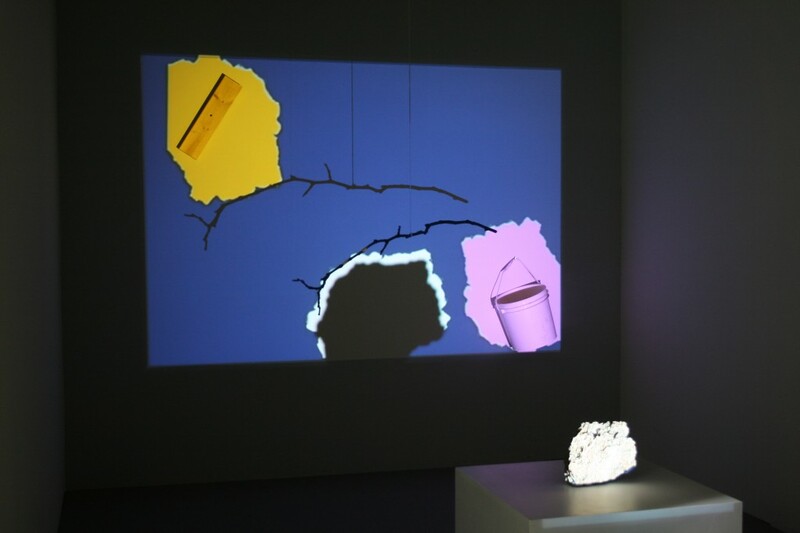 Some of his works incorporate music and projections with everyday objects in a way that is both comical and poetic. Other works feature complete stage sets and performances, with cut-out figures that talk and sing and interact with commonplace objects or with the artist himself, all with strong references to both contemporary society and cultural and art history. Flemish Representation at the Belgian Embassy and the Mondriaan Fonds. Partner: Barka Alrina, Bęc Zmiana Foundation. Media patronage: Program 2 Polskiego Radia, TVP Kultura, TVP Kraków, Radio Kraków, Gazeta Wyborcza, Karnet, O.pl, Cracow-life.com, Purpose.com.pl, E-splot.